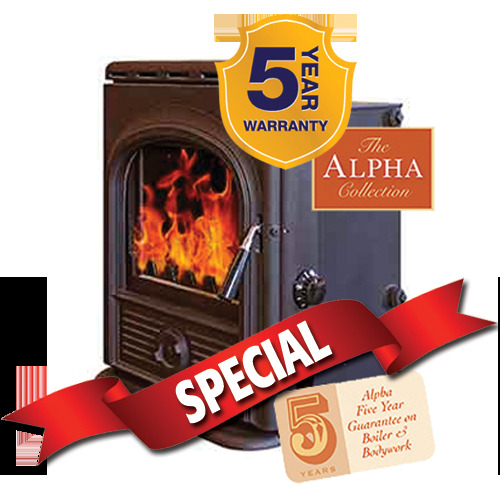 Wood burning and multi fuel inset thermostatic controlled boiler stove designed to fit standard Irish fireplace openings. 4.8Kw output to Room. Output to water 7.5Kw.